An illustration of how California would have looked around 1850. 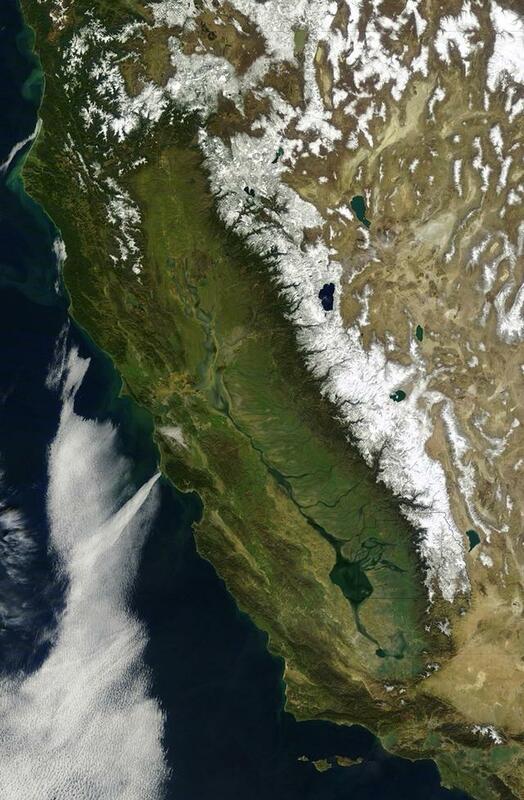 Tulare Lake is the large body of water to the lower right. It vanished with the rise of irrigation farming. 1. California’s Central Valley used to be so watery that you could take a boat between San Francisco and Bakersfield. Long since vanished, Tulare Lake in the southern San Joaquin Valley was the largest freshwater lake west of the Mississippi, with a surface area four times that of Lake Tahoe. Just for kicks, Mark Clark, a Tulare County cartographer, created a map, above, depicting what 1850s California would have looked like from space. It shows an uninterrupted route from Kern County’s Buena Vista Lake all the way north to the Sacramento-San Joaquin Delta. Clint Eastwood as mayor of Carmel-by-the-Sea in 1986. 2. Clint Eastwood, the actor made famous for his tough-guy portrayals, once ran for mayor of a small beach city on the Monterey Peninsula. 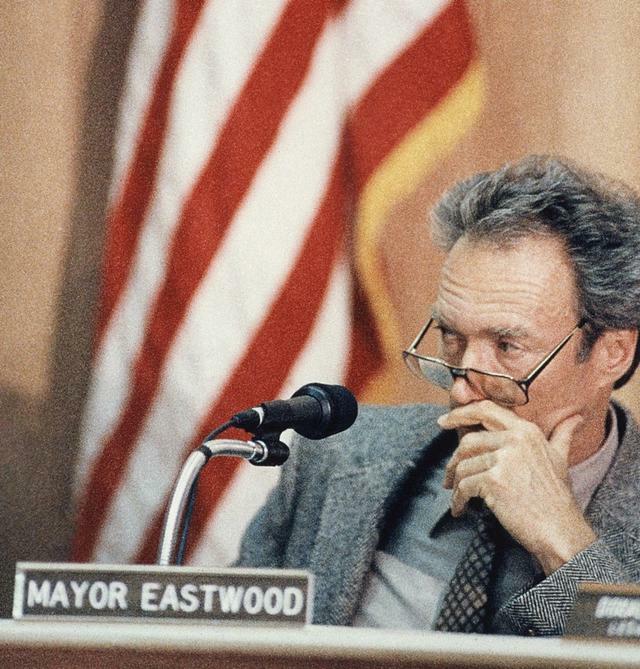 It was 1986, and Eastwood was fed up with what he saw as Carmel-by-the-Sea’s “kill-joy mentality.” A focus of his campaign was an ordinance that effectively forbade the sale of ice cream cones. He won in a landslide. Under his gavel, the city restored the right to sell ice cream cones. He quit after one term. Wyoming? 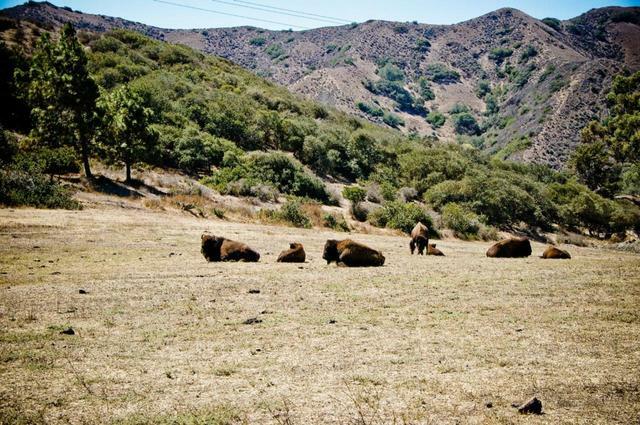 No, Catalina Island, where bison have roamed since the 1920s. 3. Catalina Island is home to a wandering herd of roughly 120 American bison. Their presence dates back to 1924, when they were brought to the island off Southern California to be used in a film backdrop. Catalina’s then-owner, the chewing-gum magnate William L. Wrigley Jr., liked the hulking mammals and brought out more. They’ve been roaming the island’s backcountry ever since. Clashes with humans are rare, but not unheard of. Just a couple months ago, a camper was gored. Sgt. Kevin Briggs on the Golden Gate Bridge in 2013. He is credited with saving hundreds of lives. Over his 23-year career, Briggs was credited with saving more than 200 potential jumpers. 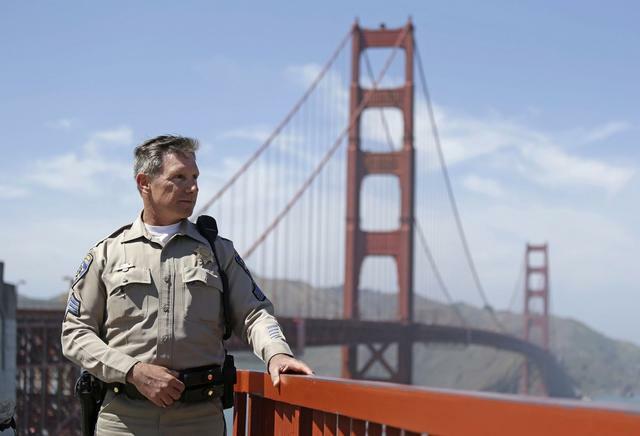 He became known as the Guardian of the Golden Gate Bridge. 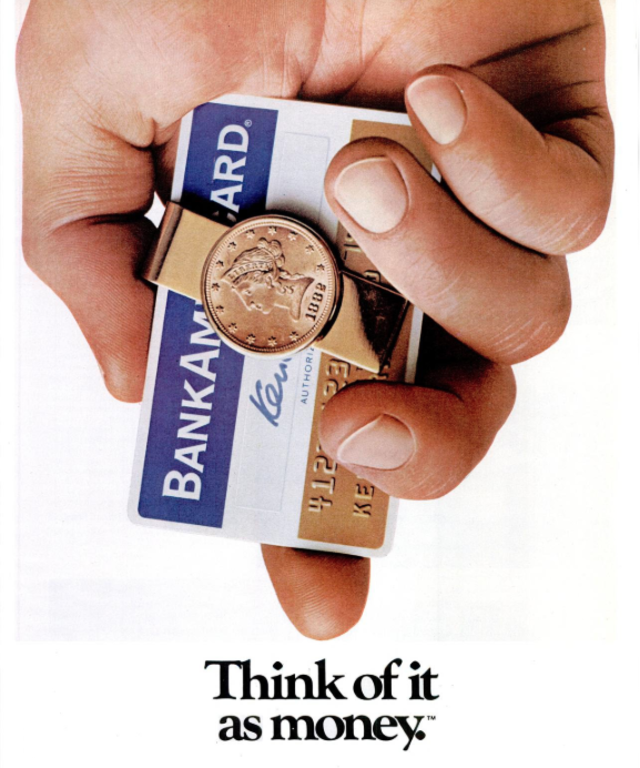 A BankAmericard ad from 1972. 5. In 1958, Bank of America mailed 60,000 little plastic cards to people in Fresno offering a $500 line of credit. 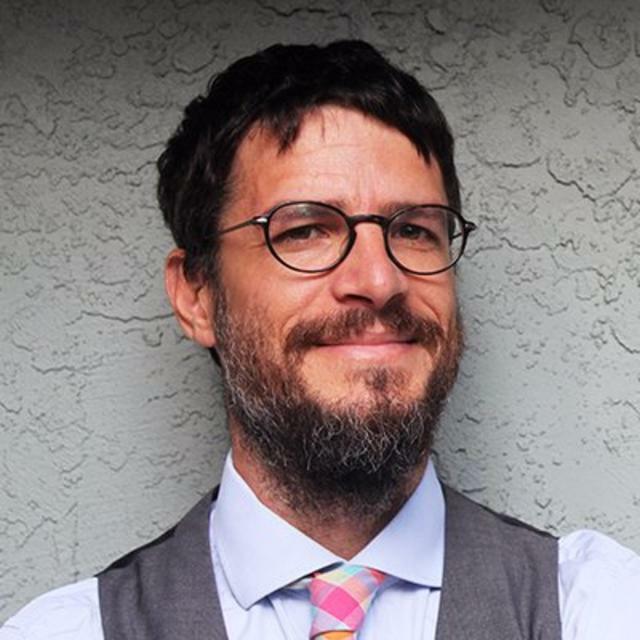 The unassuming agricultural city was chosen for the BankAmericard experiment because the bank figured the media might not notice if it failed. But the “Fresno Drop,” as it became known, was wildly successful. A middle-class money revolution had begun. Over the next 12 years, banks blanketed the country with 100 million credit cards of one kind or another. The BankAmericard was eventually renamed Visa. Mystery surrounds the Blythe Intaglios, located about 15 miles north of Blythe. 6. Near California’s southeastern border with Arizona, six gigantic human- and animal-like figures have been scraped into the desert floor. 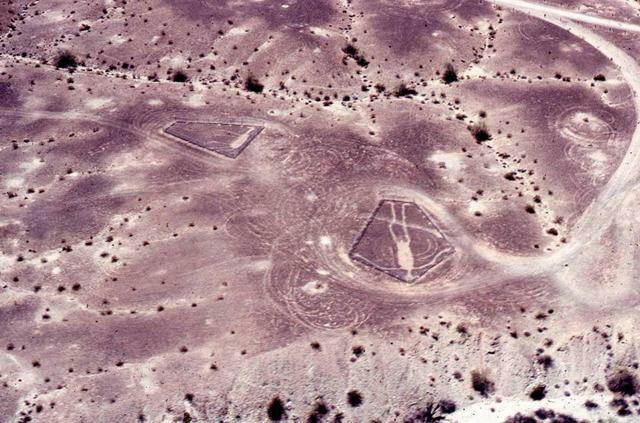 Archeologists are uncertain who created the shapes, known as the Blythe Intaglios — possibly Mohave and Quechan Indians — or for what reason. Their age is a mystery, too. They’ve been dated to anywhere from 450 to 2,000 years old. The figures, each between 95 and 171 feet long, are so hard to see from the ground that they were only rediscovered in 1932 when a passing pilot happened to look down.